This entry was posted in 2014, Backyard Blooms, Ornamental Plants, Shrubs and tagged fall gardening, gardening, nature, plants with colorful berries, shrubs by missinghenrymitchell. Bookmark the permalink. 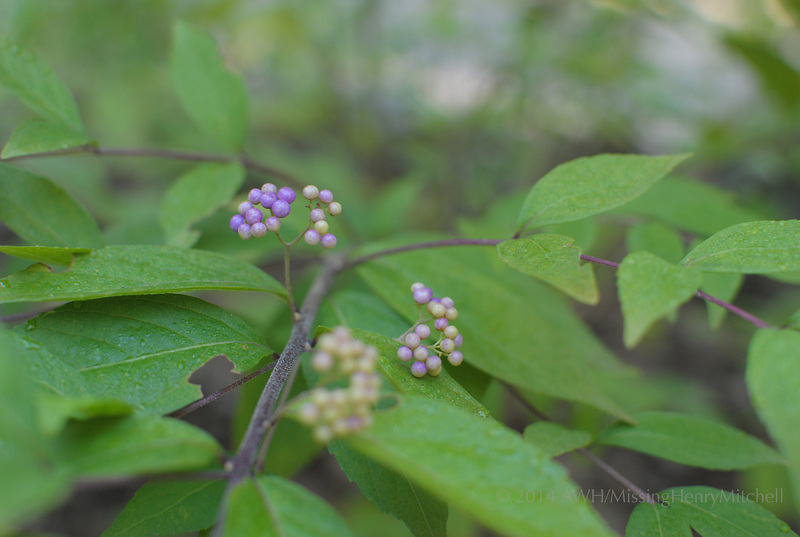 They are unusual with such dazzling purple berries. I can’ t think of any plant quite like this one. Me, either. There’s a vine–Ampelopsis?–that has rather exquisite looking berries, but they’re marbled rather than one solid color. And the vine is quite rampant and badly behaved. It’s such an unusual color for the garden, electric is a good word to describe the glow!